The three-match T20I series, concluded on Wednesday, saw South Africa wrap up a 3-0 whitewash over the tourists with a comfortable 39-run victory at SuperSport Park. ‘You have to breed new blood, and you have to give them opportunities to flourish,’ she said. ‘There were some tough decisions [made regarding selection], but these players that came in really raised their hands enough to get into the set-up. Van Niekerk also stated that the pool of national players was widening due to the impressive performances of the youngsters entering the fold. She added it would mean that no player could take their place for granted in the future. 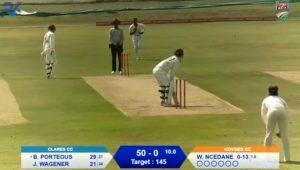 Van Niekerk top-scored in the last game as the Proteas posted a series-high total of 163-5 in Centurion, with Goodall (35) and Brits (36) also contributing. Sri Lanka was then restricted to 124 for eight, thanks to De Klerk’s brilliant 3-27, as well excellent showings by Shabnim Ismail (2-11) and Marizanne Kapp (1-3). ‘We always said 150 plus will be a really good score, especially with our bowling line-up,’ Van Niekerk concluded. ‘SuperSport Park generally helps pace bowlers, so I knew that Kappie [Marizanne Kapp] and Shabnim [Ismail] would zing it past them, and obviously sub-continent teams aren’t as comfortable with pace swinging past you. 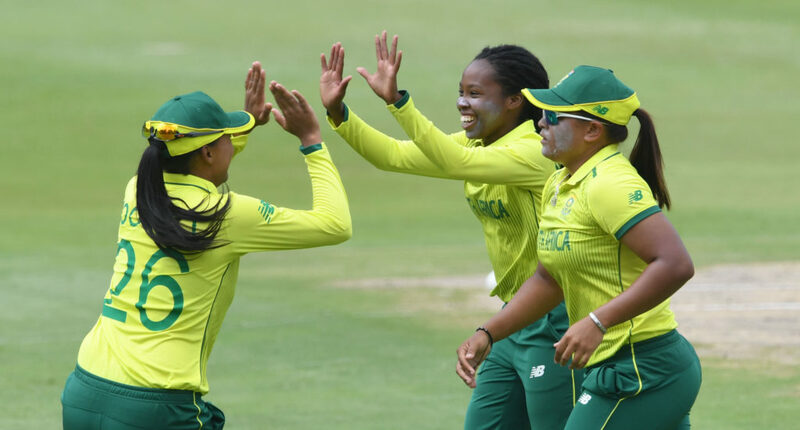 The South Africans now take on their Sri Lankan counterparts in a three-match ICC Women’s Championship ODI Series starting on Monday. South Africa ODI series squad: Dané van Niekerk (captain, Eastern Province), Laura Wolvaardt (Western Province), Mignon du Preez (Northerns), Lara Goodall (Western Province), Shabnim Ismail (Gauteng), Marizanne Kapp (Eastern Province), Saarah Smith (Western Province), Tumi Sekhukhune (North West), Zintle Mali (Border), Faye Tunnicliffe (wicketkeeper, Boland), Masabata Klaas (North West), Andrie Steyn (Western Province).